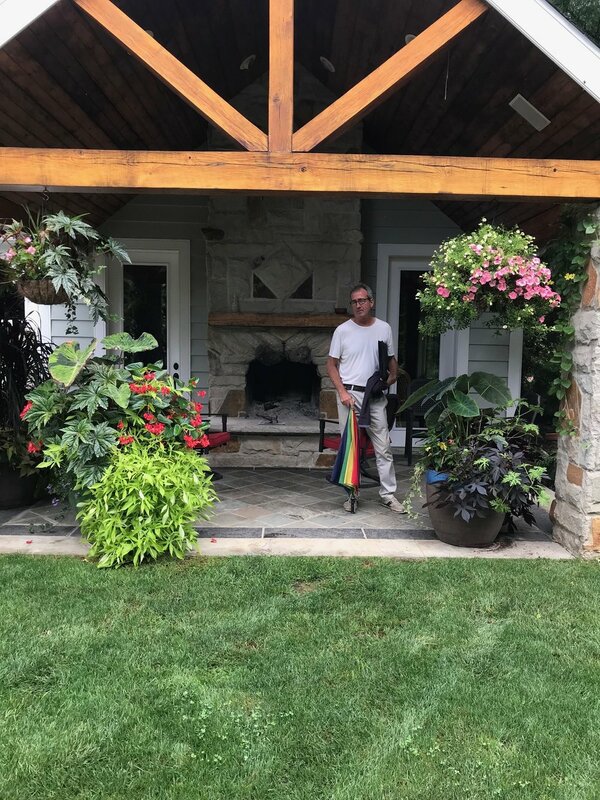 Brian told us most landscapers in Cleveland rely on only 30 of the most popular plants for their work. Walking with Brian, we were surrounded by over 95 unique varieties of plant material that grow well in our climate. He explained in detail his beliefs about landscaping and the plant choices he has made. He is not afraid to move sizable plants and trees to their most optimum position in his yard. We left inspired that a beautiful, tranquil garden such as this could be created and hidden on a busy, suburban street.